Another college, University of Wisconsin, publishes a list of what we CAN’T say. You guys. Ugly. Illegal alien. Crazy. Dumb. All those words are no-no’s. Really? This list is DUMB! 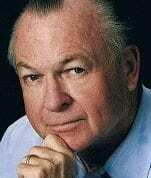 Major General Paul Vallely (US Army Ret) says there’s no political solution for Palestine. It needs to be an economic Arab-Israeli solution to create jobs and give young people hope for the future. Paris is hosting an event for the inauguration of a US President. It’s the first time a foreign country has done that! Recapping the confirmation hearings aka political circus.